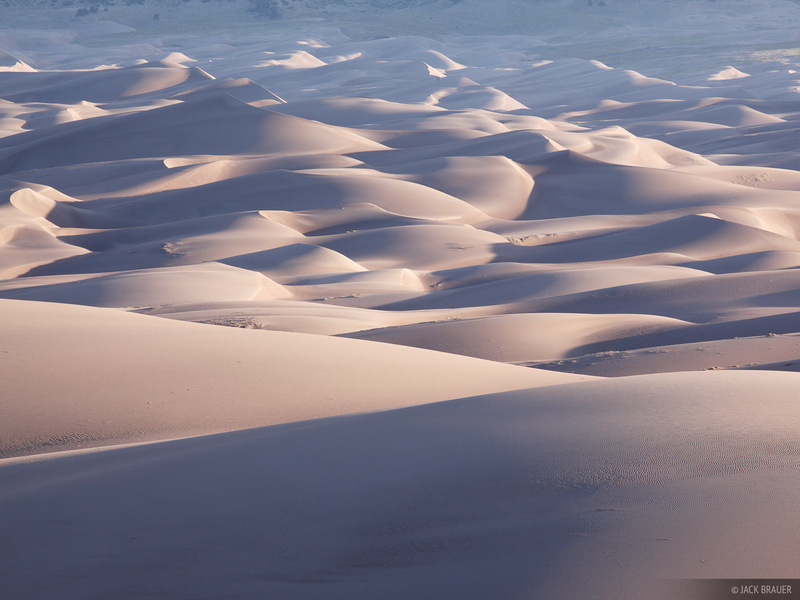 On Monday I headed to the Great Sand Dunes for a quick overnighter. I hiked in at about 10pm, slept on a dune for about 4 hours, then woke up around 3:30am to shoot the setting (nearly full) moon, followed by sunrise. I had a blast out there with the camera… so much fun! And the hike out with Pink Floyd Meddle playing on my headphones was pretty groovy too! 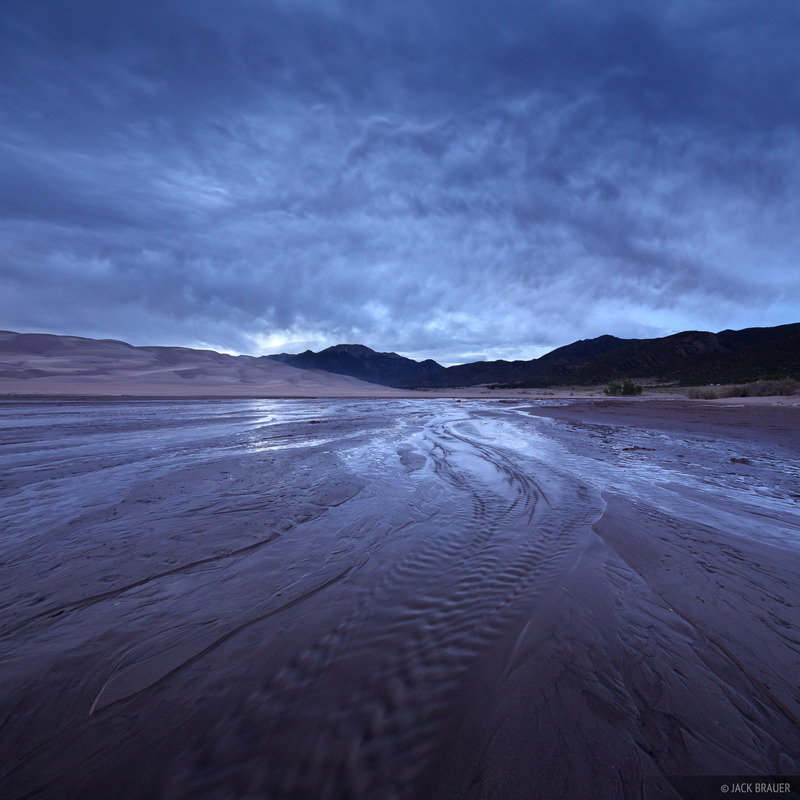 Spooky clouds hang over Medano Creek and the Great Sand Dunes after sunset. 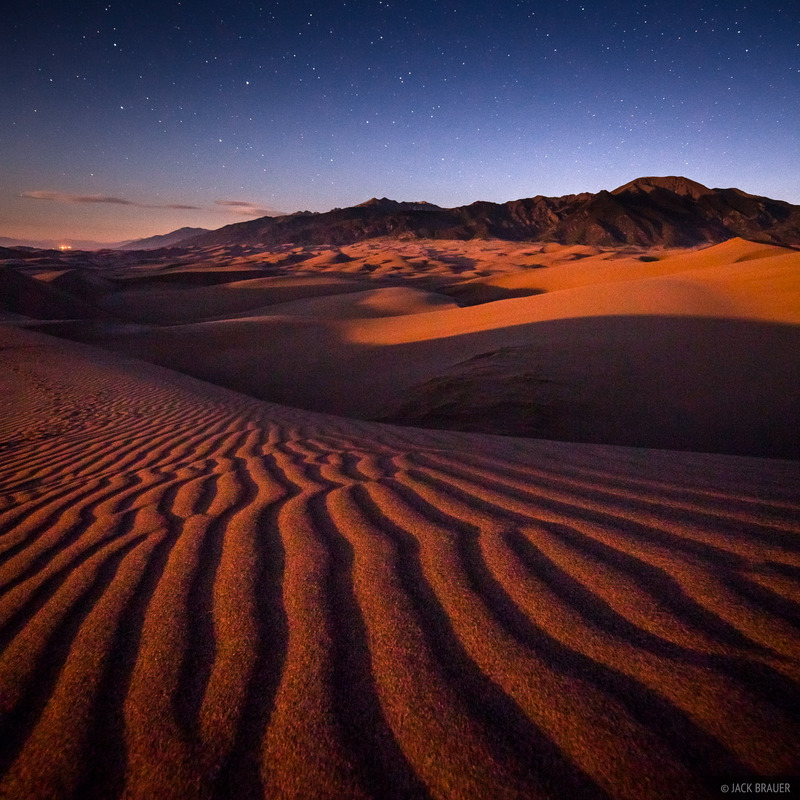 A setting full moon illuminates the dunes with dim alpenglow, enhanced by a long, high sensitivity exposure. 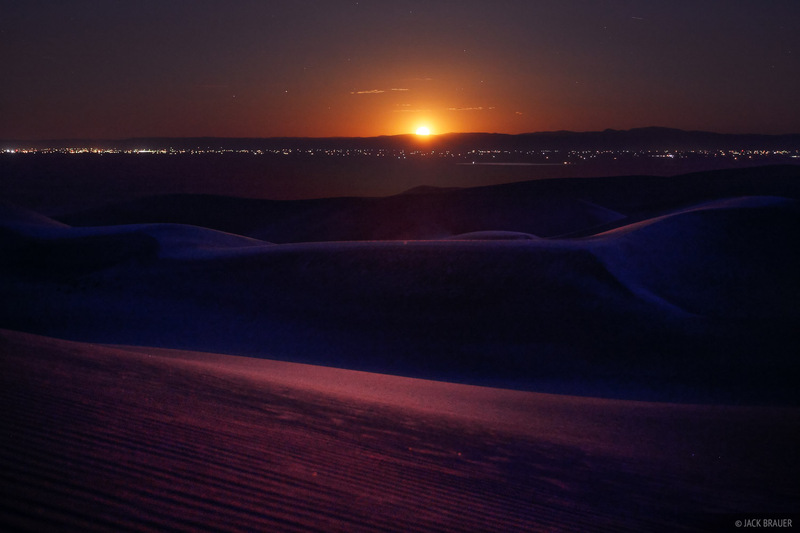 A nearly full moon sets beyond the San Luis Valley, as seen from the Great Sand Dunes. 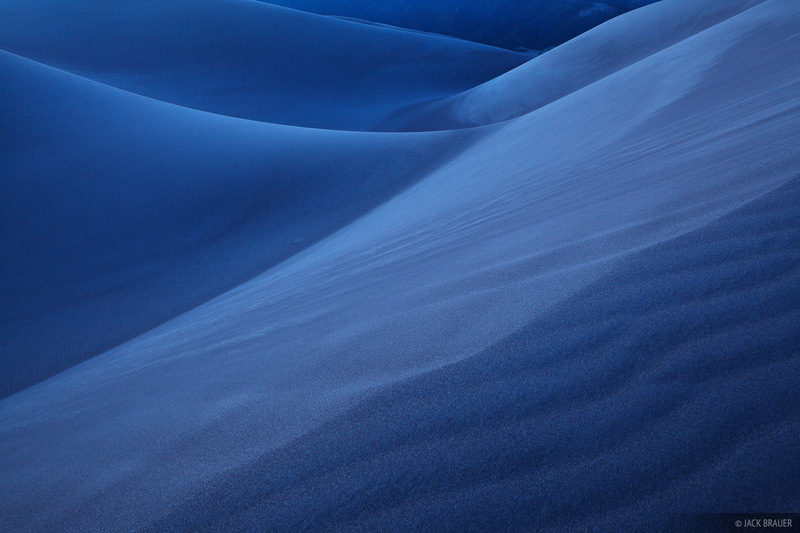 A deep blue early dawn sky casts a luscious blue hue on the dunes during this 2-minute exposure. 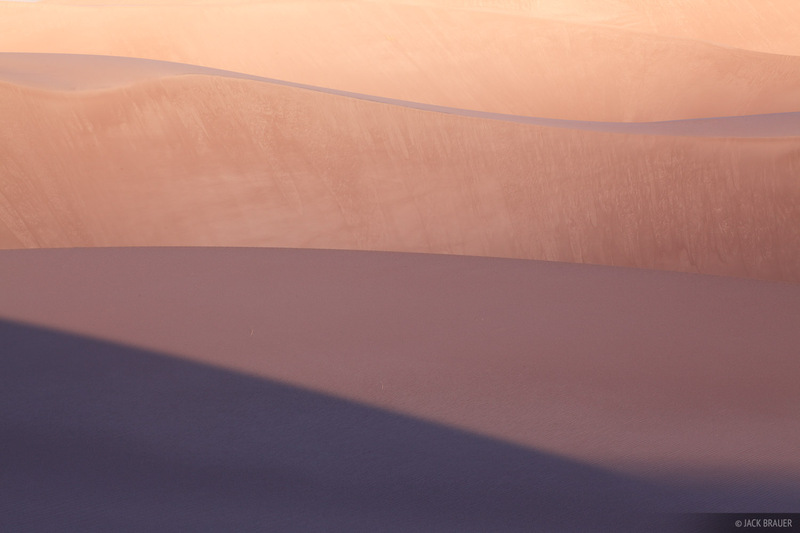 These shades of color lasted only for the brief moment when the rising sunlight was just beginning to touch the dunes. Waves of sand crash onto the mountain shore. 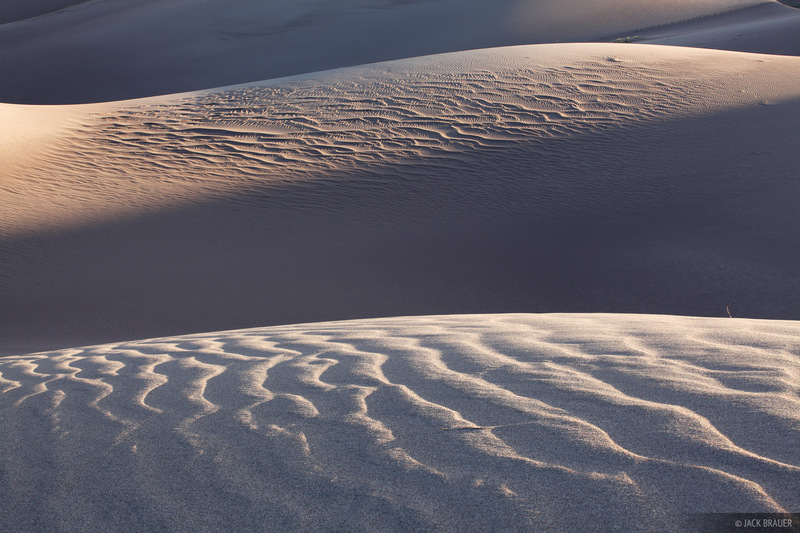 Two patterns of ripples catch the morning light in the Dunes. 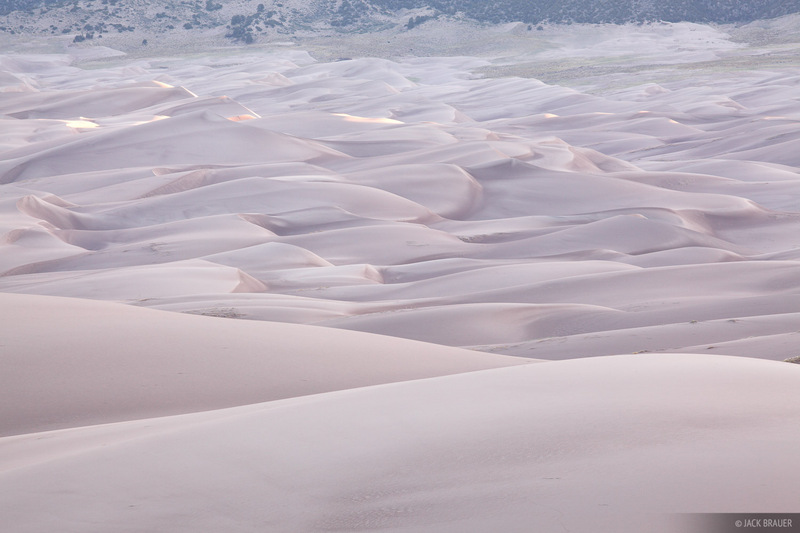 Morning light in the Great Sand Dunes. Morning light and shadow play in the waves of sand. 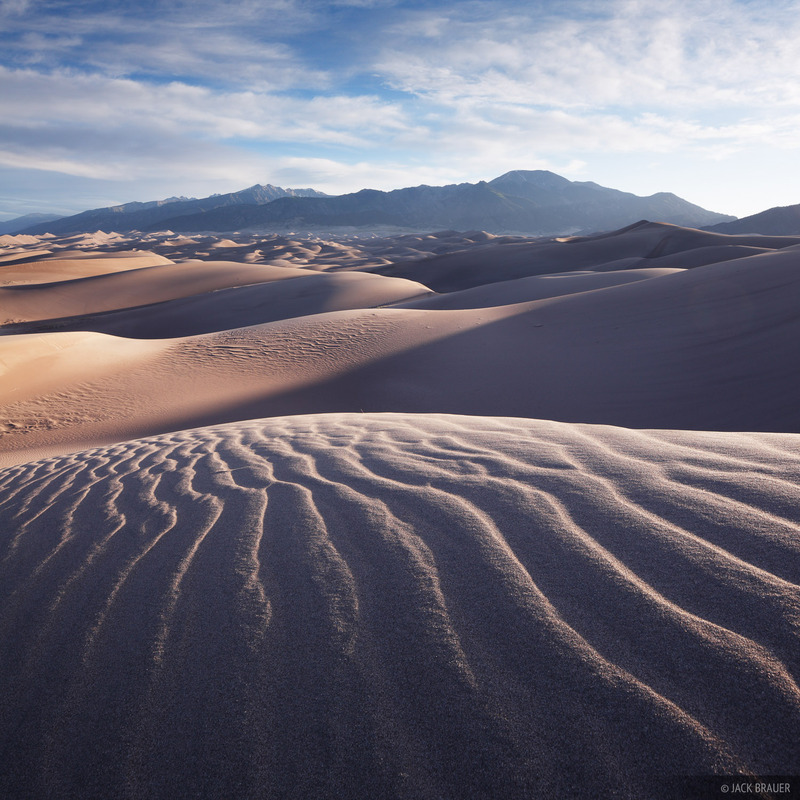 Posted in Backpacking & Trekking, Colorado and tagged Colorado, Great Sand Dunes.